During the Easter break two of the dBs Music Live sound students took a trip over to Germany to take part in some training delivered by the awesome d&b audiotechnik. The two days were split up into both theory and practical sessions with two different training courses taught. The first covering an introduction of their J and V Series systems as well as basic electroacoustics, mounting and rigging. The other course covered an IP and Dante Networking workshop which looked at implementing closed networks for transmitting audio in a live application. The workshops were attended by industry professionals so the training event was also fantasic networking opportunity. 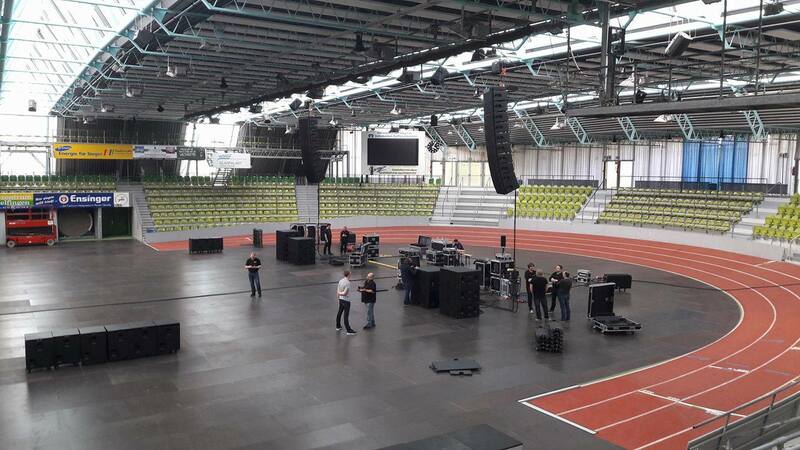 Best of all the training was delivered in the Glaspalast Arena in Sindelfingen – a huge working live music venue in the south of Germany.